With its built-in lighting system, the Big Agnes Tumble 3 Mtnglo Tent makes it easy to set a mood, study your topo map or just hunt down your missing fleece hat. 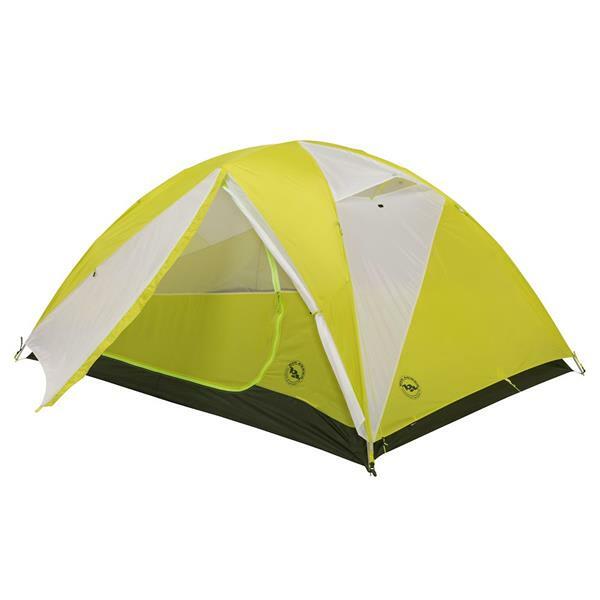 This lightweight, 3-person backpacking tent incorporates a flexible band of LED lights (powered by 3 AAA batteries) that are sewn directly into the canopy for an always-there light source. A control on/off button also allows you to minimize the brightness by 50 percent for reduced glow. The spacious interior of this novel tent, combined with double doors, twin vestibules and impeccable materials and construction, creates a bomber shelter for hardened trail-pounders. Touting a 5 lbs 13 oz trail weight, this ripstop polyester, 3-season tent packs small but lives large - plus, you can take it on the trail without the tent body for complete coverage minus the extra ounces. 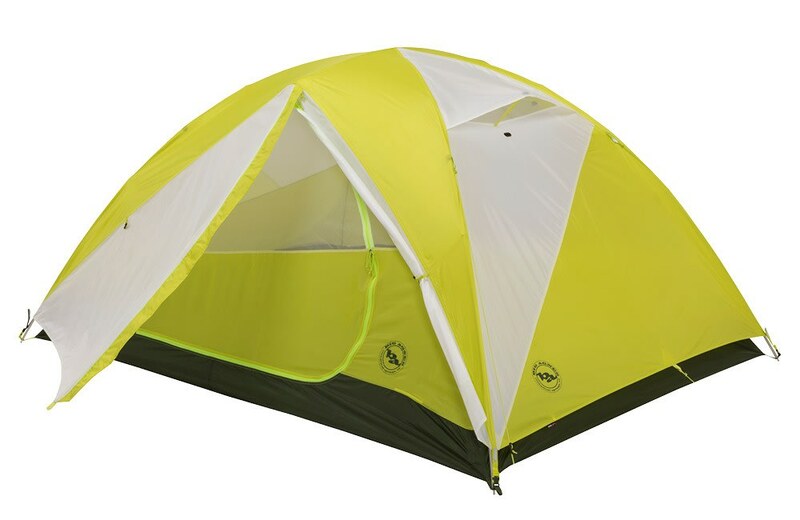 Packed Size: 6" x 25"
Features patent-pending mtnGLO tent light technology using durable LED lights to illuminate the interior of your tent with enough light to sort gear, play cards and hang out with friends without blinding them with a bright beam of light. This Is The Best Darn Tent I've Ever Owned! Great Tent, Great Price... not much more I can say. Great for the family and kid friendly.